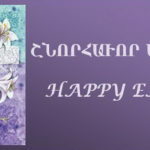 On Friday, November 2nd, 2018, H.E. Archbishop Moushegh Mardirossian, Prelate, welcomed the visit of Western Prelacy and community sponsor Mrs. Alice Navasargian, who has graciously assumed the sponsorship of this year’s New Year and Christmas Luncheon-Boutique with a $10,000 donation. Ladies Auxiliary Chair Mrs. Dzovig Zetlian participated in the meeting. 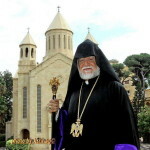 The Prelate thanked Mrs. Navasargian for her longtime support of the Prelacy and community organizations, as well as for her latest generosity. 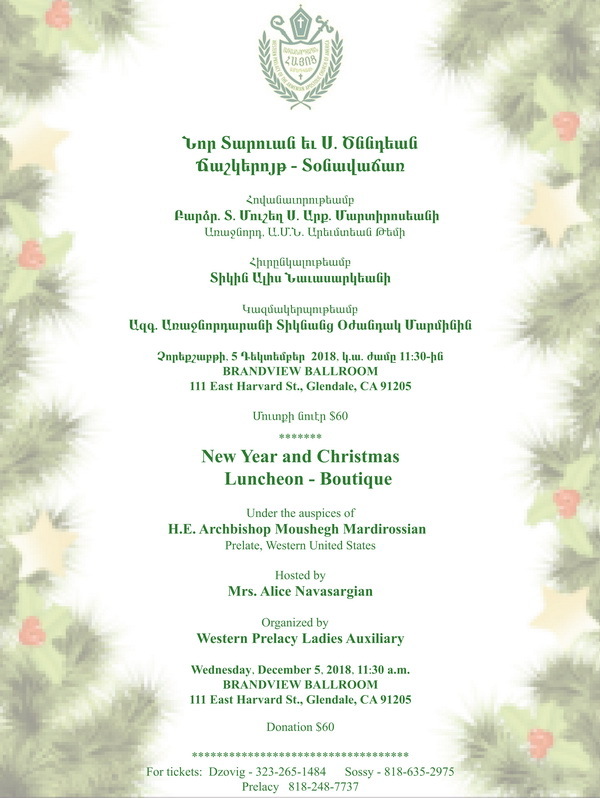 The New Year and Christmas Luncheon-Boutique, organized by the Western Prelacy Ladies Auxiliary, will take place under the auspices of the Prelate on Wednesday, December 5, at Brandview Ballroom (111 East Harvard St., Glendale) beginning at 11:30 a.m.
Tickets are $60 and may be reserved by contacting the Prelacy at 818-248-7737 or members of the Ladies Auxiliary.